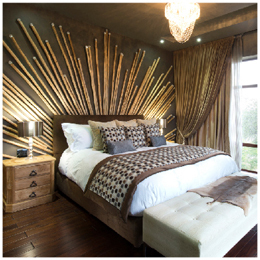 Elaborate solid wooden furniture and unique African photography adorn the walls of our Palala Boutique Game Lodge accommodation. 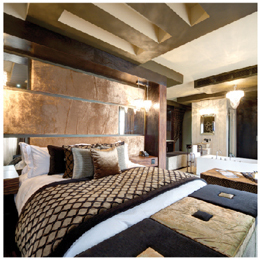 These encapsulates the fusion of elements that can be seen everywhere at this exclusive lodge. Our air-conditioned suites offer queen or king beds covered with high-quality imported linen. You can choose from our selection of specialty pillows from our pillow menu. The spacious marble bathrooms exude a grand setting. You get free-standing baths, glass showers, and double basins, plus personalised bath amenities. For the ultimate five-star treat, let us run your bath pamper you with our specially selected Matsimela bath range. We provide body butter, bath soak, salt scrub, bath fizz ball, and a candle to set the mood. 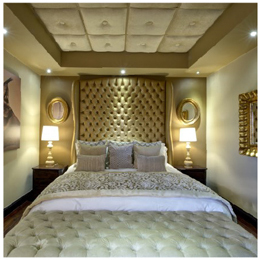 Our Palala Boutique Game Lodge accommodations offer non-smoking rooms. Just specify your request with our concierge.